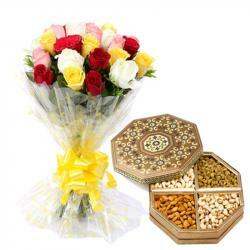 Product Consists : 1 Kg Soan Papdi Box along with Bunch of 15 Fresh Mix Red and White Flowers. 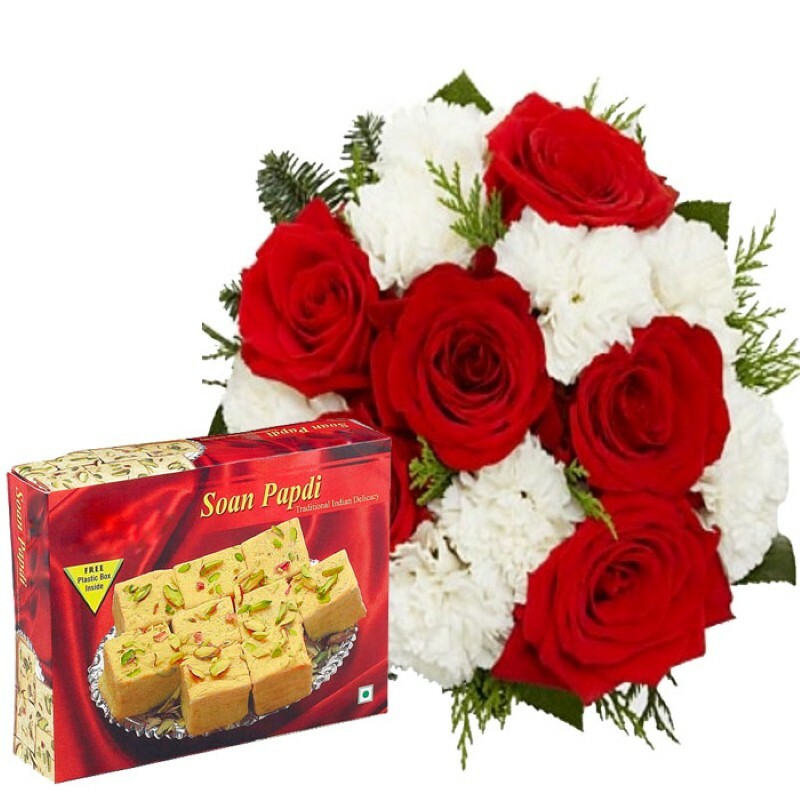 Celebrate the day of Romance with gifting this lovely hamper which comprises dozen 15 Fresh Mix Red and White Flowers with Soan Papdi Box.. 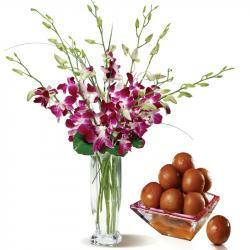 This combo has been designed especially for celebrating valentine day. This season of love, gift your valentine sweetheart Surprise your dear ones with this lovely gift. 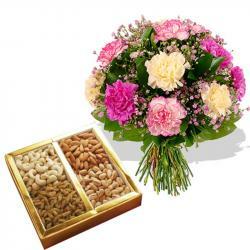 It is a perfect gift combo to touch hearts of love ones on special events like Valentine Day. So, go ahead and buy this hamper now. 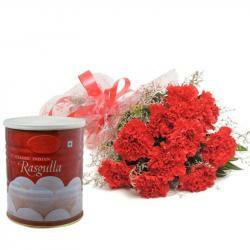 Product Includes: 1 Kg Soan Papdi Box along with Bunch of 15 Fresh Mix Red and White Flowers.